Event Time: Ends at 23:59 (Server Time), 7 days after the server is released. Reward Time: The 8th day after the server is released. 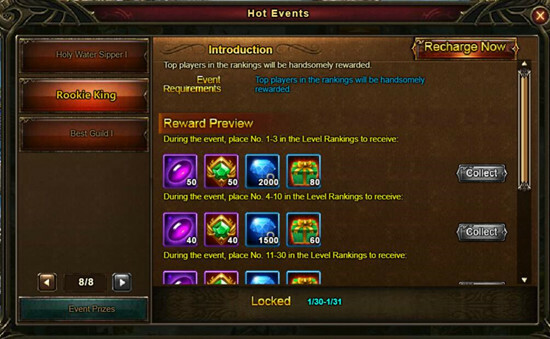 Description: Top 100 players in the Level Rankings will be handsomely rewarded. Event Time: Ends at 23:59 (Server Time), open the 6th - 12th days after the server is released. 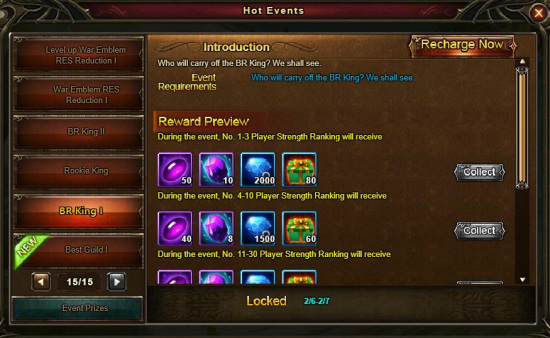 Reward Time: The 13th day after the server is released. 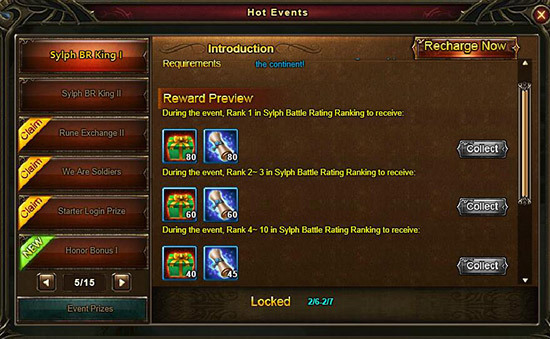 Description: Top 100 players in the Battle Rating Rankings will be handsomely rewarded. Event Time: Ends at 23:59 (Server Time), open the 21st - 27th days after the server is released. Reward Time: The 28th day after the server is released. Event Time: Ends at 23:59 (Server Time), 6 days after the server is released. Reward Time: The 7th day after the server is released. 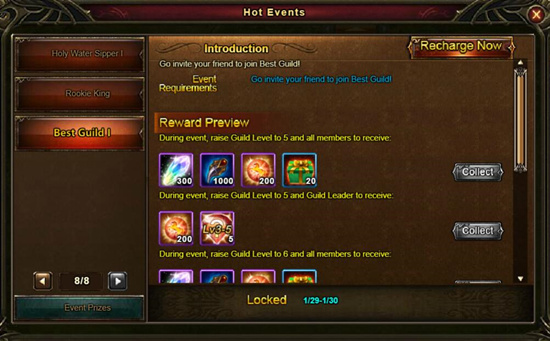 Description: When a Guild reaches the required levels, the Guild Leader and guild members will be handsomely rewarded. Event Time: Ends at 23:59 (Server Time), open the 15th - 21st days after the server is released. Reward Time: The 22th day after the server is released. 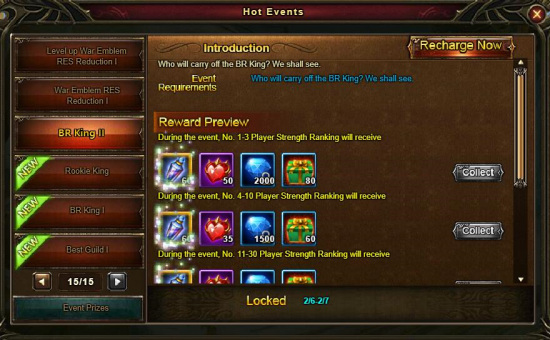 Event Time: Ends at 23:59 (Server Time), open the 3rd - 9th days after the server is released. Reward Time: The 10th day after the server is released. 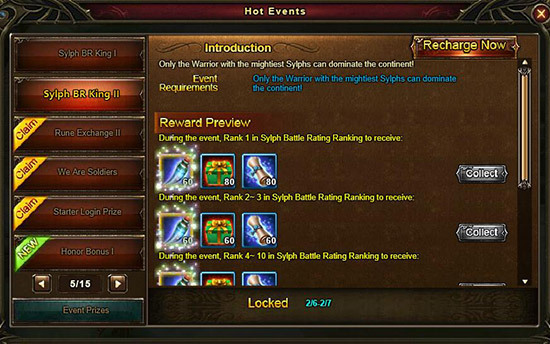 Description: Top 50 players in the Sylph Battle Rating Ranking will be handsomely rewarded.